Great news for all you BoJack Horseman fans out there! This amazingly sad, nihilistic and beautifully funny series is coming back to Netflix in September. 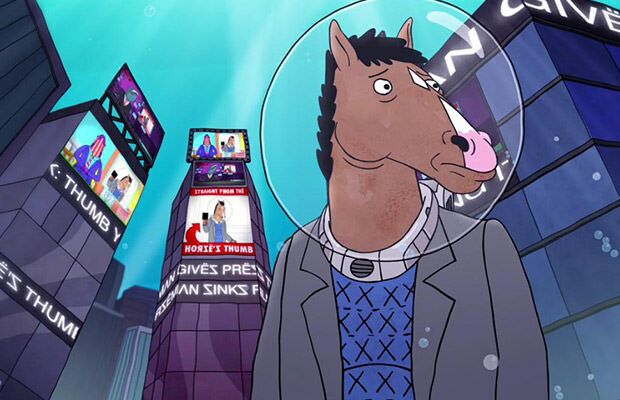 In case you need a reminder, BoJack Horseman stars Will Arnett as the title character and the show focuses on a washed-up actor who is also a horse. Also read: ‘ Arrested Development’ To Officially Return To Netflix. The first season of BoJack Horseman premiered on August 22, 2014, on Netflix, and while the reviews weren’t all that great (the critical consensus from Rotten Tomatoes is that the first season was stated to be pale in comparison to similar comedies), the show managed to become one of the best things that happened to television during its 3rd season. In fact, season 3 of BoJack Horseman is actually referred to as “one of the funniest and most heartbreaking shows on television,” according to Rotten Tomatoes. The fans know that the last season rounded up with BoJack discovering new lows even for him after his prized Oscar nomination was taken away from him. We are certain the fourth season is likely to pick up where season 3 left off and grant us with all new downward spirals BoJack will be facing. With some more horsing around, of course (sorry for the bad pun). The show returns on Netflix on September 8th.